I have recently rediscovered the joy of Monopoly. In the days before HMV broke, I spotted a very attractive retro edition, in a wooden box, and I decided that as I couldn’t find my childhood box that I would buy it (my old version was a deluxe edition in a black box that included a locomotive token). After all, what better way could there be to pass the long winter evenings than to accrue a personal property fortune? Still licking my wounds, you could imagine my shock when Hasbro offered a world wide vote to replace a historic playing piece with a diamond ring, a guitar, a toy robot, a helicopter and a cat. The result of that vote? The iron bought it, securing just 8 percent of the vote, and was replaced with… a cat. Now, I am a cat fan. I admire their cunning, their cold, calculating capacity for dissembling, their ruthless survival instincts and the juxtaposition between the lean, mean killing machine that most of them think they are and the fact that they are often the animal kingdom equivalent of Norman Wisdom, exhibiting a tremendous propensity for slapstick. I would say I own one, but I am pretty sure he owns me. 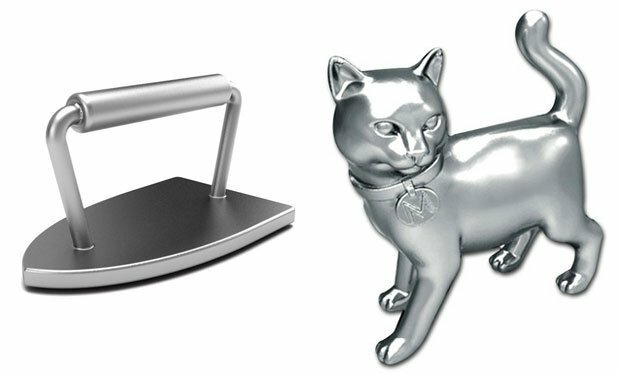 What a cat isn’t – or what it shouldn’t be – is a Monopoly playing token. To my mind, the iron was one of the more elegantly designed pieces. The cat that replaces it is pug ugly. As it happens, it’s not the first time that pieces have been retired or changed. My retro edition partially recreates the 1935 edition and doesn’t include the wheelbarrow, introduced in 1937. 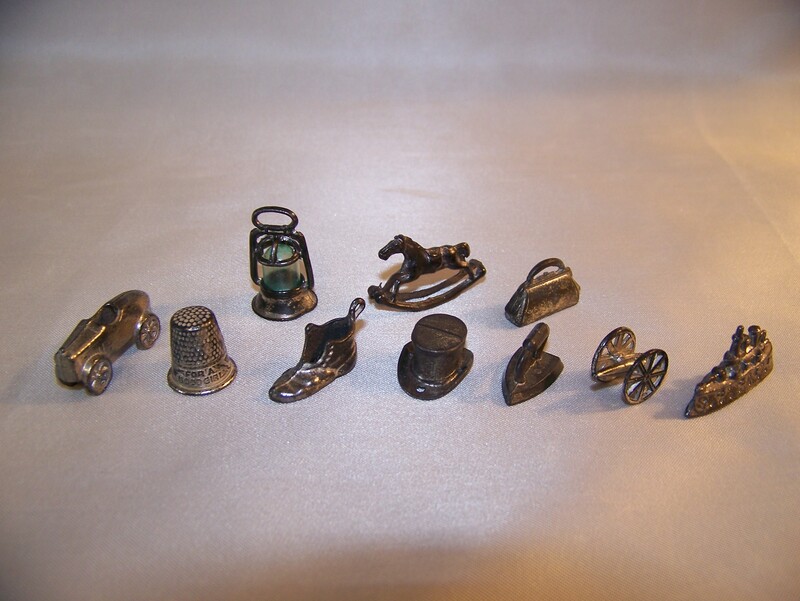 However, it also doesn’t include three other tokens that were retired in the 1950s: the purse, the rocking horse and the lantern (the wheelbarrow already introduced, the 1950s saw the introduction of the man on horse and the dog). Other retired tokens include the sack of money (which existed in the 1999-2007 editions, having won a contest over a piggy bank and a bi-plane), a man on horseback and a Howitzer (! ).